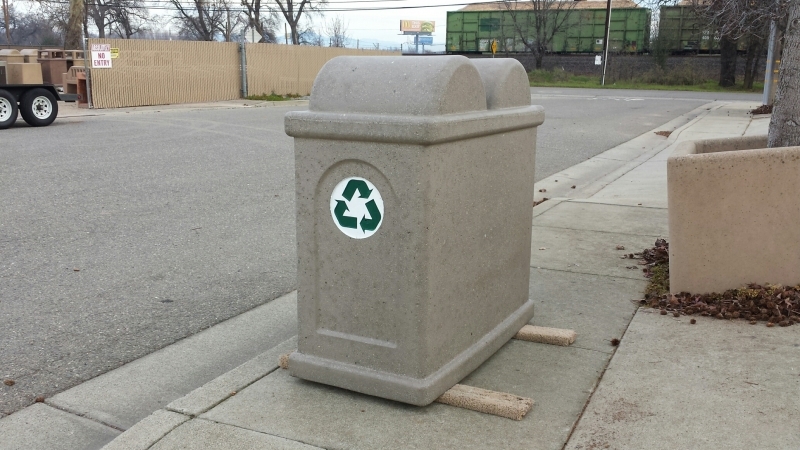 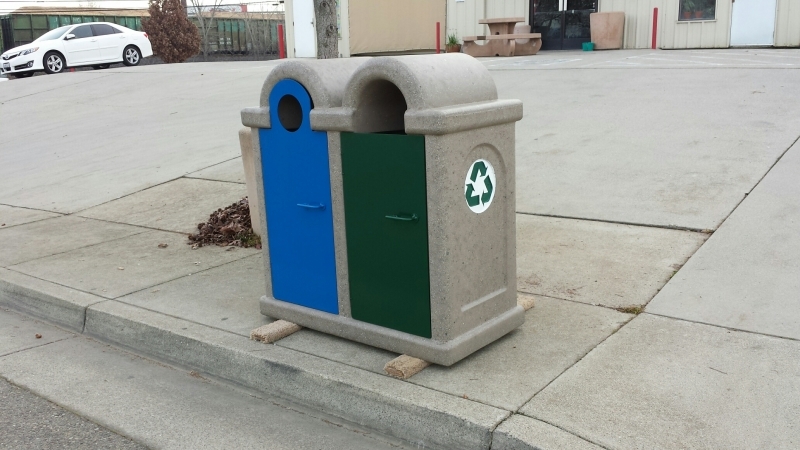 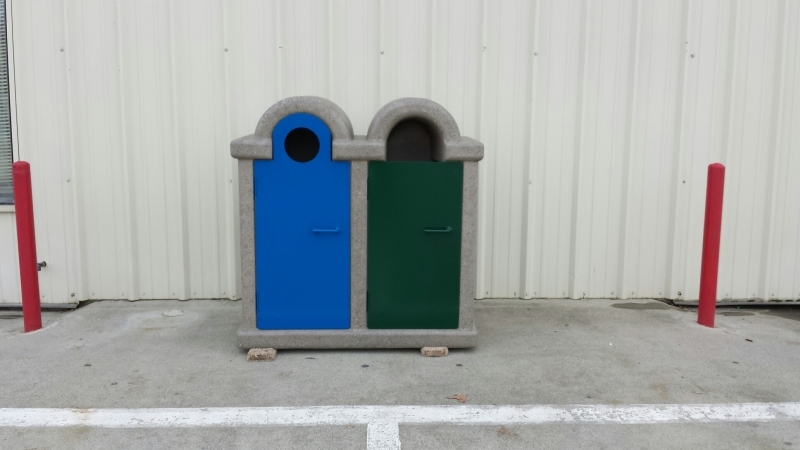 The City of Alameda, CA has been working with us for the last year to develop a recycling unit to fit their needs. 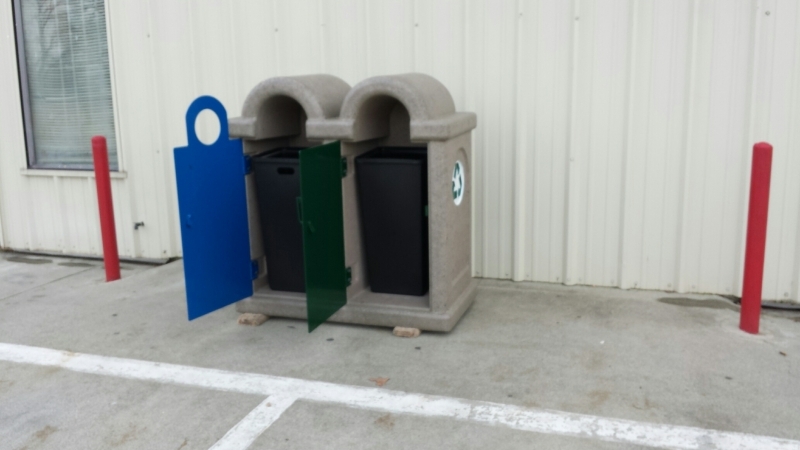 We have now added it to our product line and made it available to everyone. 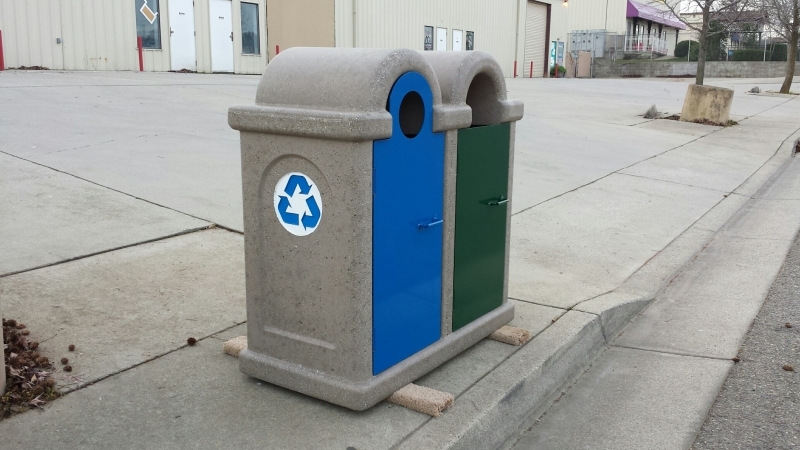 It contains 2 separate 23 Gallon compartments for separate recyclables and customizable, locking doors.